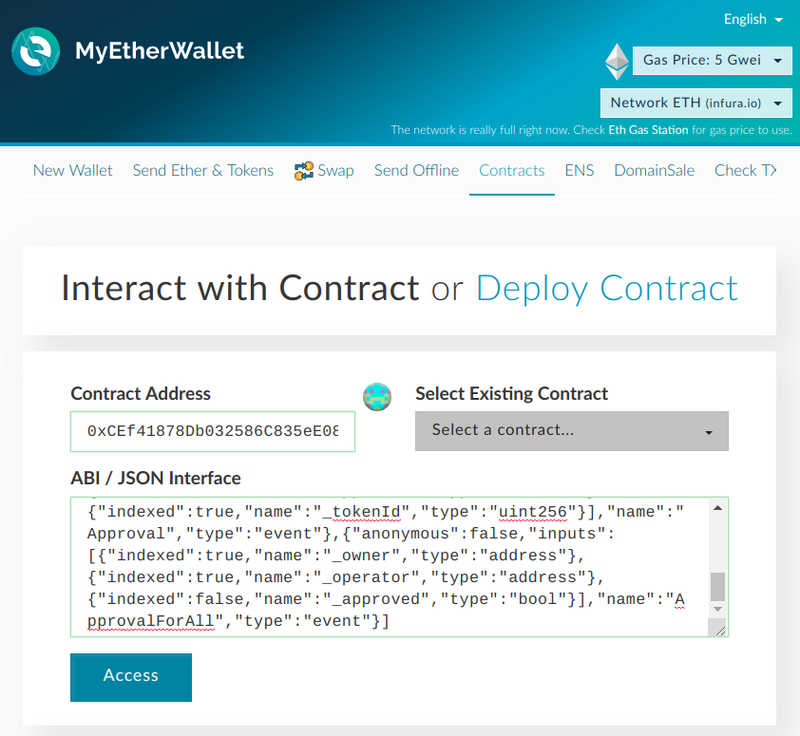 Instructions are written for MyEtherWallet.com but may be applied to any other wallet. To interact with the contract you need an Ethereum address with some Eth on it. 1. Load the MillionEther smart contract interface. 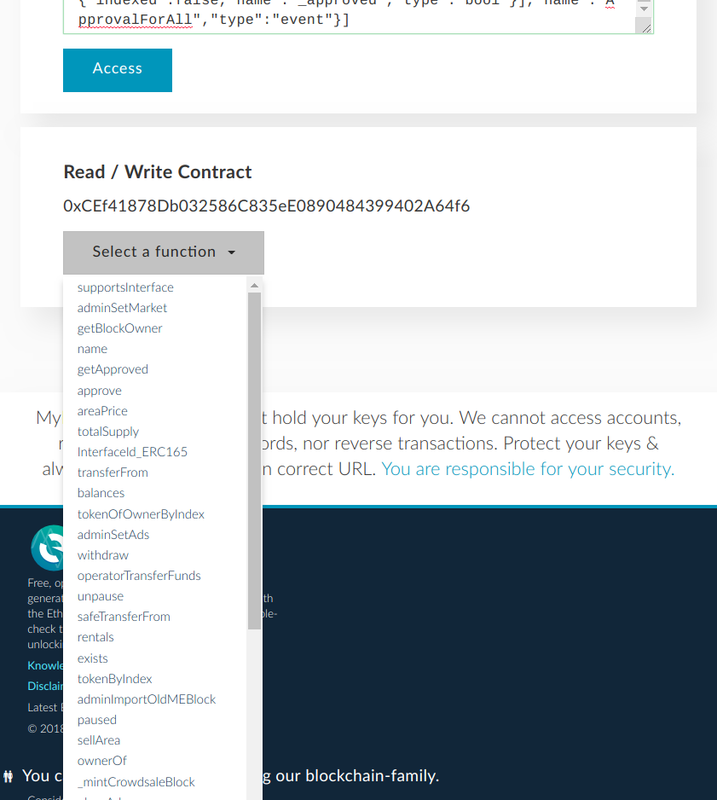 In MyEtherWallet.com go to Contracts. Some wallets may require contract name. Type MEH. 2. Select function you would like to interact with. You are now should be able to see all functions available in the contract. These are all public functions of the smart contract. Some of them are ERC721-interface standard functions, some are owner-only functions (admin..), others are just public read-only variables. Please interact with functions described in this docs and with ERC721 functions only. Interacting with unauthorized functions will consume all provided gas.